May & June’s Freebies… Well, they ain’t totally free. I hope you didn’t stop reading there because this time, I’m asking you to GIVE a little to win one of TWO Optima Batteries. You’ll be giving to charity and you’ll be glad you did. The charity is for Progeria. Any donation of $1 or more will enter you to win. Please donate here. Progeria is a heart breaking genetic condition that makes kids age 7-10 times more rapidly than normal. 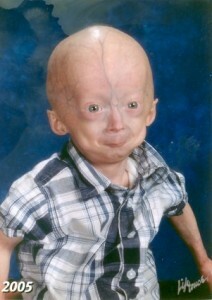 Children with Progeria rarely live past 16 years old. This is a very rare but fatal condition. The picture on the left is Kristian from Kristian’s Page. The picture is labeled “PreSchool 2005” when Kristian was 3 years old. Kristian died on March 23, 2006. I met Terry Foose, the mother of famed hot rod designer Chip Foose at the Grand National Roadster Show in 2008. Terry was raising money for Progeria when I talked to her. Terry’s daughter and Chip’s younger sister died of Progeria, but there’s no doubt, she lived courageously. Her story warmed my heart as I’m sure it will for you. Please take the time to read Amy’s Story here. It’s hard to believe a story with such a sad ending can be so uplifting. We’ve helped with Progeria before racing Hot Wheels so now it’s time to do it again. For every person (member or non-member of MyRideisMe.com, it doesn’t matter) for every $1 donation you make, you’ll have a chance to win the Optima Battery of your choice. 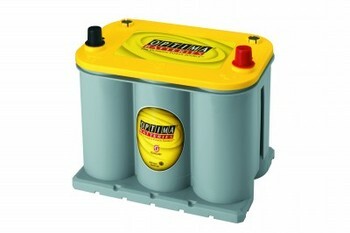 Yellow-top, deep cycle and starting batteries are a more than $200 value. Please give. Go to this page made as part of the Terry Foose Team and start donating. All donations will go directly to Progeria. There’s no administration or costs to cover from us. It’s 100% for the charity. As hot rodders and custom car and truck enthusiasts, we are all fortunate. Let’s show we’re generous as well. Hey – If you can raise $5000, I’ll throw in some Auto Show swag! Hi Brenda! I’m trying! Any way you can help me spread the word? I said on my donation if everyone on the site gave a buck you’d make your goal? Sorry it was so little but it’s the best I can do right now. Brian, known as GasManAZ and John Gamble (not a member?) 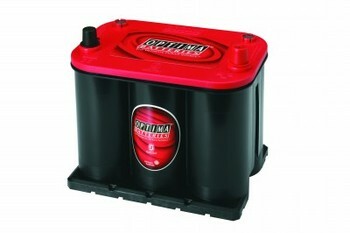 won an Optima Battery! Next month’s giveaway might be a calculator so the rest of you can figure out how cool the odds are for 1 in 15 to win. A Hearty THANK YOU to everyone who donated. I received my OPTIMA yesterday!! Thanks MRIM!!! Thanks OPTIMA Batteries!! I feel good about donating to a worthy cause too.